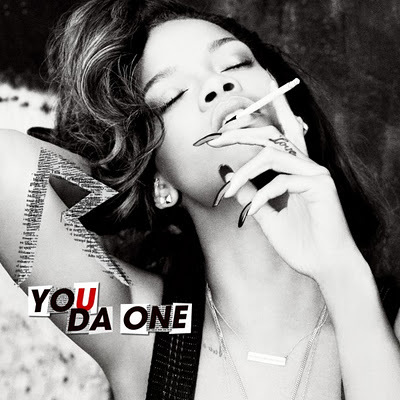 Fresh from her MEGA hit We Found Love, Rihanna has released the follow up hit called You Da One. Taken from her forthcoming sixth, yes SIXTH studio album Talk That Talk, the track produced by Dr Luke see's the Bajan singer , slowed down the tempo, yet keeps the edgy dubstep beat but still a great pop track. Singing "My love is your love/ Your love is my love," and "You're the one I dream about." is RiRi letting us know in this album she may have found love?